Pricing is based on a maximum service at a depth of 6” to 8”. Resulting debris will be left on the-site near and/or in original stump location. Service does not include hauling the stump grinding debris. Large stumps may leave large mounds of stump mulch. Ask about pricing for stump mulch removal. from the service area at time of service. phone, sprinkler system, outdoor lighting). of 3 working days. They do not mark sprinkler systems or underground dog fences. We would be happy to give you a free estimate!! Its just a click away!! What Do I Do With The Mulch? 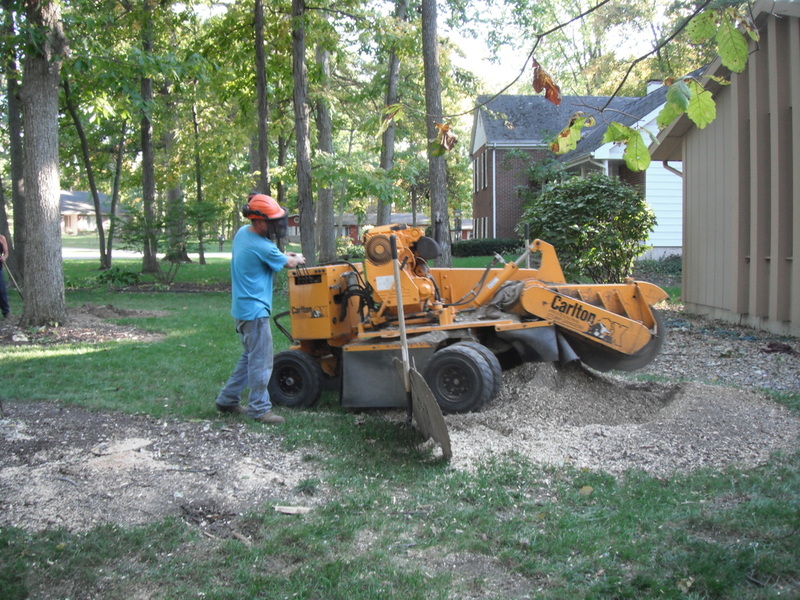 Often customers will spread the mulch left behind from the stump grinding in existing landscape designs. Ask About pricing for removal of stump mulch. Full Removal and replacement with dirt is also available.